This year happened to contain one of the driest summers the Pacific Northwest had seen. 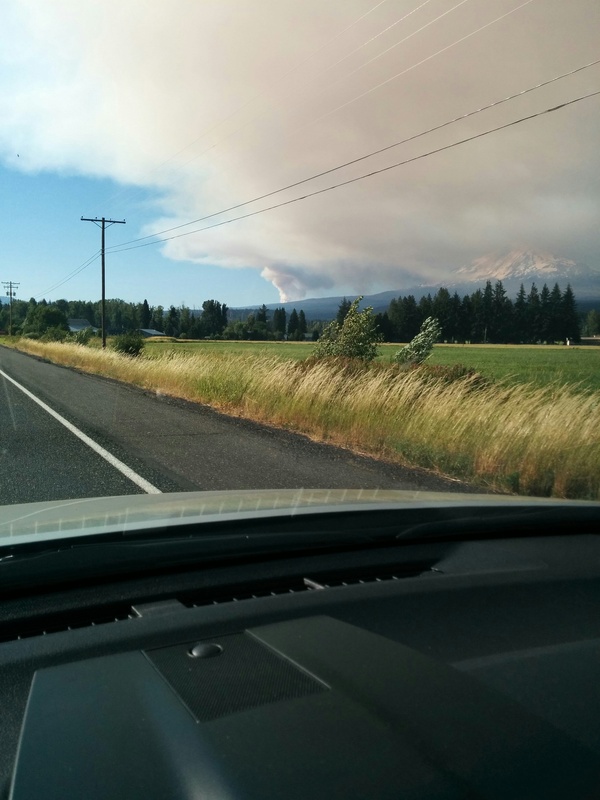 There were lots of fire raging, some intentionally set and some caused by nature. 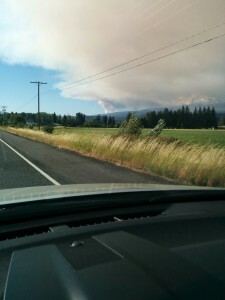 On the way to the Bachelor Party caving trip, I saw this immense plume of smoke from a fire. I’d been to lots of caverns before, so that’s what I expected from this bachelor party trip. I first suspected I was wrong when I couldn’t find a sign for the place. My suspicions grew when Dave arrived (along with other attendees) and we just started walking into the woods. As we arrived at the entrance Dave told us that one can be sure he’s arriving at the entrance to a cave by spotting mosquitoes. Turns out we were going into a lava tube. I thought that meant we’d be walking in a cave that was fine as glass. 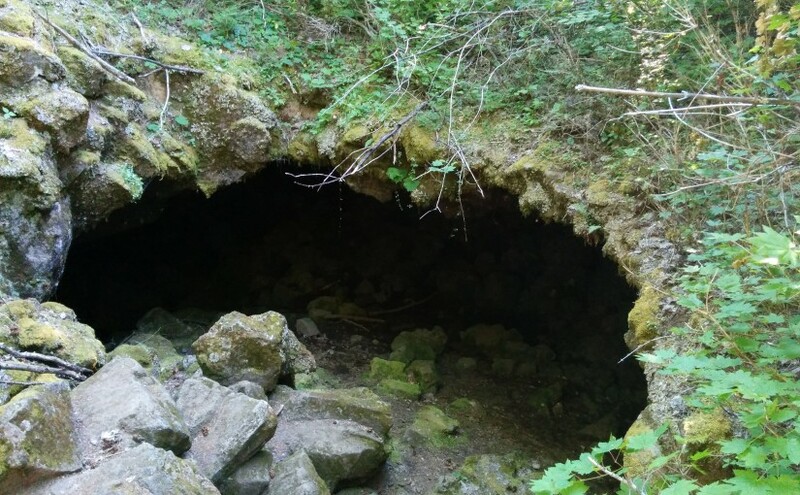 Instead it was as if someone had chosen a cave to dump a bunch of rocks. We did see some baby stalagtites, though. It was pretty trippy being in a place where if we shut off our flashlights we were in complete darkness. The flashlights didn’t even penetrate all the way to the end of the walls ahead of us. It was a pretty spectacular view (even if my cell phone panorama doesn’t do it justice). There’s a bridge you can see in the distance that’s probably the scariest bridge I’ve ever been on. It was so narrow that any vehicles wider than a compact car took up space in the other lane. In fact, my uncle almost got into an accident when someone veered into his lane. Next time: some photos from before the wedding.